A 33-year-old woman presented to the emergency room with left femur pain and inability to walk after a mild trauma. Radiography showed a pathological left femoral fracture with an osteolytic lesion. 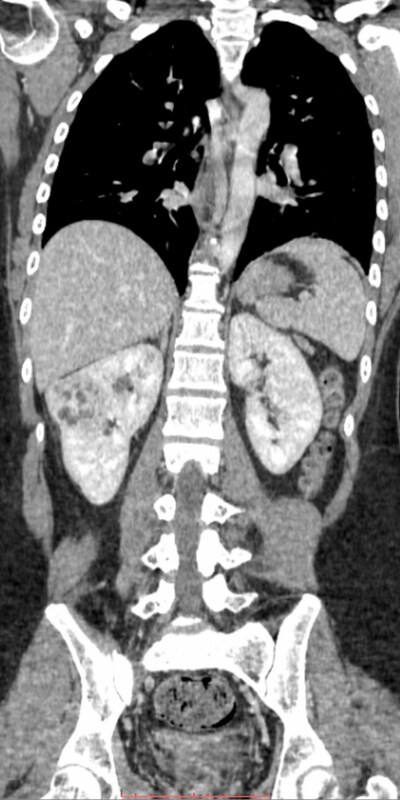 Contrast-enhanced whole-body CT was performed to investigate further.